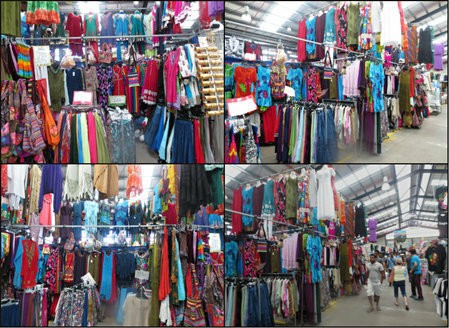 At first glance it's like any other store at the Dandenong Markets with repetitive styles of clothing. However when you look closely, you'll probably find a few gems. Best of all, they stock larger sizes and a lot of cotton clothing. Perfect for the upcoming hot summer weather. I love cotton and lace. I picked myself up a couple of pairs of beautiful cotton lace harem pants and again a lacy cotton top for $20 each. He said his sizes go up to size 30, but when I asked him to show me the biggest sizes he had, it looked more like a size 22 to me, which is still pretty darn good. It's so difficult to get larger sized clothing that varies from the standard look of 'black, ugly and no style' I call it; in the reasonable price range that's not hitting upper of $100. This man has no website or shop name, but you can find his shop at 'F13' and the numbers either side of it i.e. his shop is 3 spaces long. Why? Plus sized (lots of cotton) clothing up to size 30 said the man.